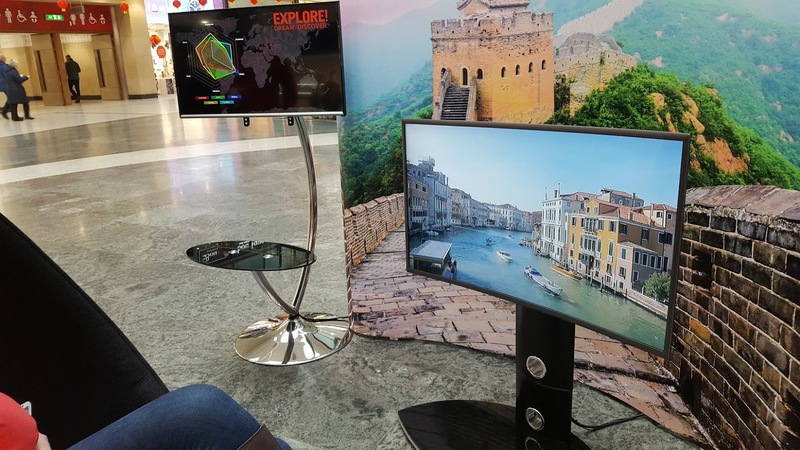 Yesterday I went over to The Arndale Centre in Manchester - not to shop, but instead to have my brain waves read by some of the latest technology. It's not the sort of thing that usually happens to me on any given Tuesday, but it was fascinating and I highly recommend it. 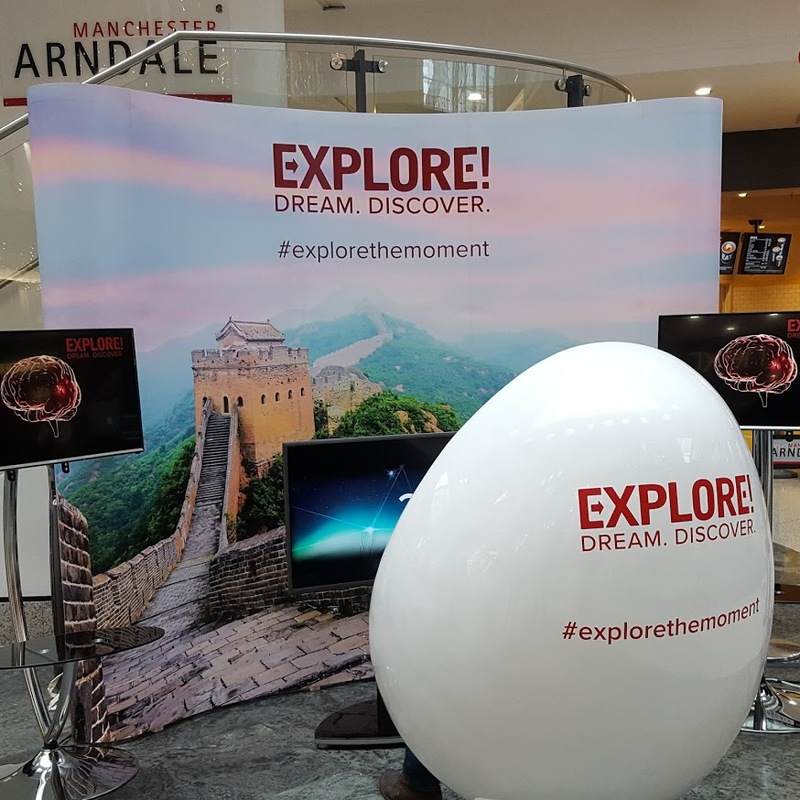 Explore, the Small Group Adventure Holiday company, had set up their unique #explorethemoment experiment – the first of its kind ever to take place in the UK - to give some holiday inspiration to members of the public. I felt I had only one place in the world on my bucket list, so inspiration could only be a good thing.. 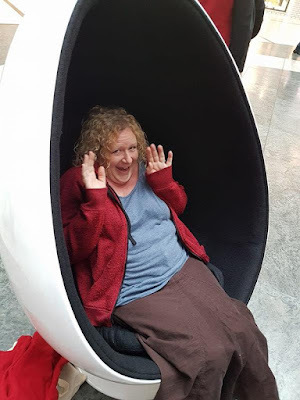 I sat down in the HUGE egg-shaped chair, and was given a headset with several sensors hooked up to a computer. Then I was shown a series of images captured by members of the public on real Explore holidays. By measuring my emotional response, the computer programme was able to asses where my interests lie and suggest a corresponding holiday. Honestly, that chair was massive. Anyway, the experiment measured Focus, Stress, Engagement, Relaxation, Excitement and Interest using EEG while we were watching the short film clips, and the outcome was different for everyone - with almost all of the people I saw tested getting a different suggestion too. Simone from Simslife Blog was given the very active suggestion of 'cycling in Italy'. She adores Italy, but detests cycling - although a walking holiday was a close second, so it wasn't far off. 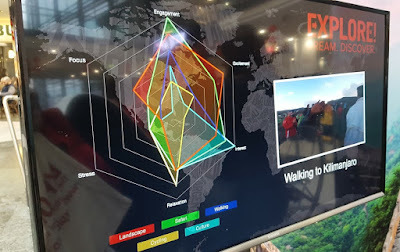 Two people we saw were given the answers 'Jordan' and 'walking to Kilimanjaro', and both were really pleased with those suggestions. It was grins all round! I wouldn't have been pleased with Jordan or Italy, but I was with my own result - Thailand. For years I've felt that the only place I'd love to go is to see The Northern Lights, way up in Norway or Iceland. As it happens I've been fascinated by the ancient temples and amazing scenery in Thailand since I was a girl. I adored them as locations when mis-spending many many hours of my life playing Tomb Raider. I've never really considered it before, but I'd genuinely love to see them through my own eyes. 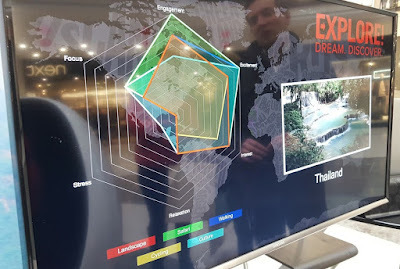 For the next few years my younger children at least will holiday with us, and Explore have that covered. They have over 500 different adventure holiday choices in 120 countries, 60 of which are designed for families, and some are even suited to tiny ones. Explore currently offer over 500 holidays, with 60 different Family Adventure Holidays all around the world. Prices start as low as £749 for a 6-day short break with flights. As a bonus when you book any family trip by 31st January 2017 you'll receive free Standard Merlin Annual Passes, worth up to £179pp, for every family member booked. I was paid for my time taken and to cover my travel. Wow what an amazing experience! I love travelling and would love to visit Thailand. In fact, I think if I did this it would struggle to find somewhere I didn't want to travel too! The idea of the temples, beaches a D scenery of Thailand and Cambodia sound amazing though and I highly recommend a few nights gazing up at the majesty of the Northern Lights as they truly are spectacular.